The Color Purple's cast and creative team celebrated one year on Broadway on December 10. After opening in 2015, the John Doyle-helmed revival went on to garner the Tony Award for Best Musical Revival. Broadway newcomer Cynthia Erivo, who also played the role of Celie in the 2013 Menier Chocolate Factory production, went on to nab the Tony Award for Best Actress and now a Grammy nomination for her stunning work in the production. 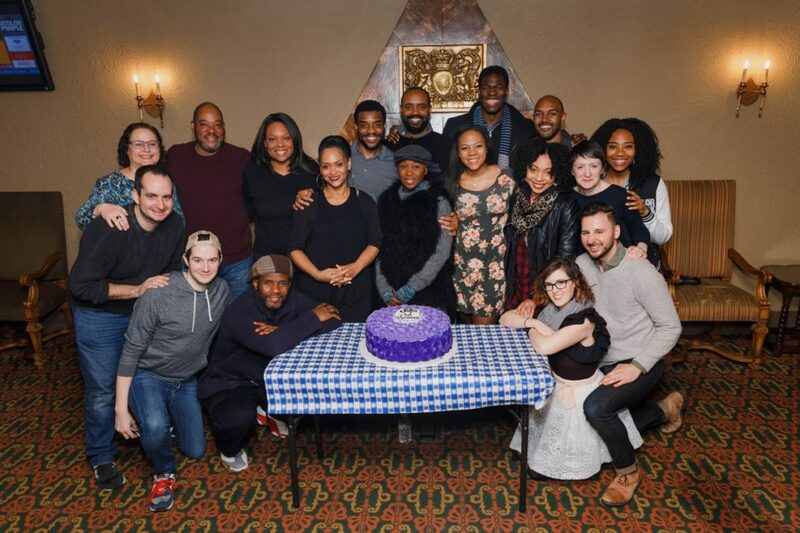 The cast and crew enjoyed a purple (of course) cake to commemorate the anniversary of the opening, and Broadway.com was there to get in on the action. Take a look at our hot shot of the event, and be sure to catch The Color Purple through January 8, 2017!